Hi friends! Are you a blogger? Have you just started blogging or have you been blogging for a while? Are you thinking about starting a blog? Do you feel overwhelmed by the concept? If you want to be a better blogger, boy, do I have some good news for you! 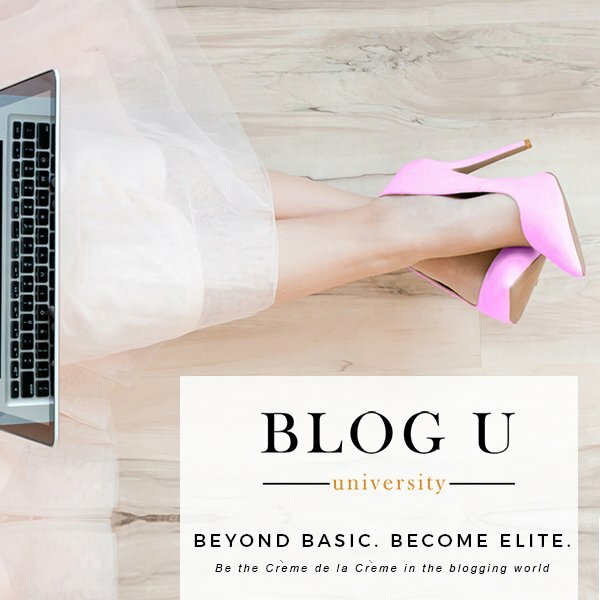 A friend of mine, Tana of Your Marketing BFF has created a new, exclusive membership website called Blog U to support, train and help new and experienced bloggers gain more success for their efforts. I just started my blog this past October and she helped me with multiple issues and questions I was struggling with. In just a few hours, she made major changes and suggestions that provided so much relief and better functioning for my website. When I started my blog/website, I created it all 100% by myself. I watched hours and hours of Youtube videos, tutorials, read many, many blog posts (a lot by Tana!!) and learned by trial and error. It was so amazing to have support from someone who has been doing this for so much longer and has been so successful. I am sharing this quick post today because the window to join this group is limited. You can join NOW through Aug 30th, 2018 at 11:59 PST. After the 30th, the ‘doors’ close and you won’t have another opportunity to join until Jan 2019! Note: I am not being compensated for this post. I am just super excited to share this opportunity with my fellow bloggers because I have personally benefitted by the skills, knowledge, and services offered by Tana. BLOG U helps you determine where you are on the blogging success path. No more going in circles! You’ll get clarity around what you need to do in order to have a successful blog. If you’re ready to start or grow and make money blogging, this membership is for you. I joined immediately as am so excited to see what is to come! At a minimum, I hope you will go check it out to see if it right for you in your present journey. This blogging journey has been such a learning process and I have found it to be an incredible community. There is so much support out there and I have realized that it is absolutely key to utilize it to continue to grow, learn and become more successful. Please feel free to share this with other bloggers you know that might benefit from this great opportunity. This post contains an affiliate link to keep my blog up and running. Is there any more info on this university.